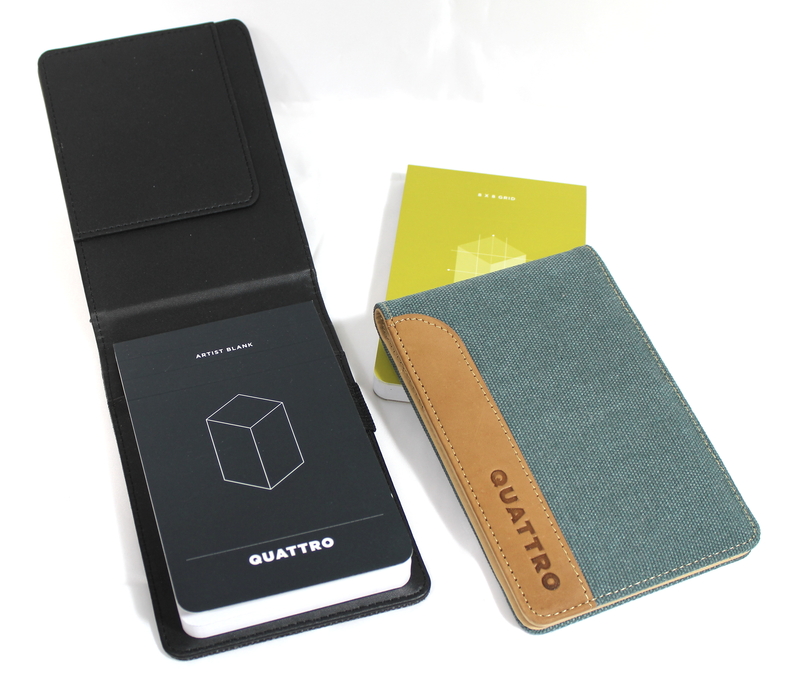 Quattro Artist Journals are the perfect marriage between premium quality and practicality, offering artists the ability to create while on the go without worrying about the durability of their paper pad. Available in (6) convenient sizes, Quattro Journals feature laminated covers with rounded corners to provide the utmost in durability. 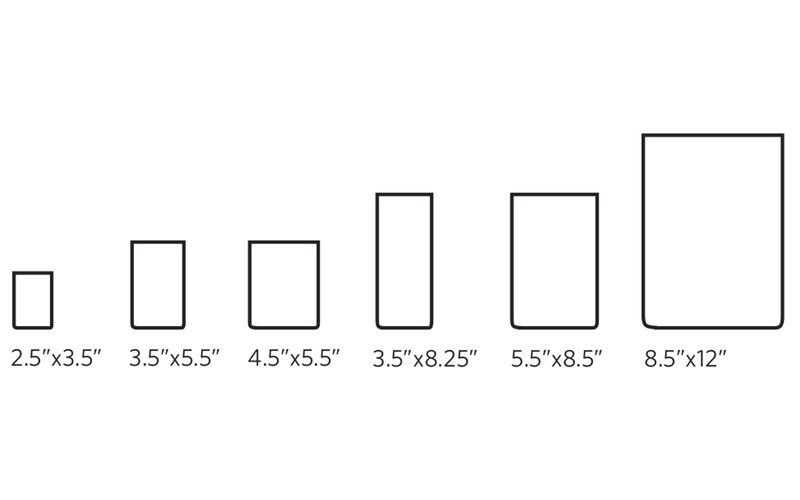 Artists can select from lined (80 sheets / 90gsm), gridded (80 sheets / 90gsm) or Artist Blank (60 sheets / 110 gsm) page styles to best suit their particular technique, with each style featuring a “wraps to back” cover and micro-perforated sheets to maximize ease of use and versatility. Sage / Rose / Steel Blue / Black Canvas Journal Holder: holds the 3.5”x5.5” Quattro Journal (lined, gridded or blank); 4.5”x5.5” (gridded or blank only); 5.5”x8.5” (gridded or blank only). All canvas holders include pen holder and leather trim.